SKU: as01. Categories: Trowels, Uncle Peter's. 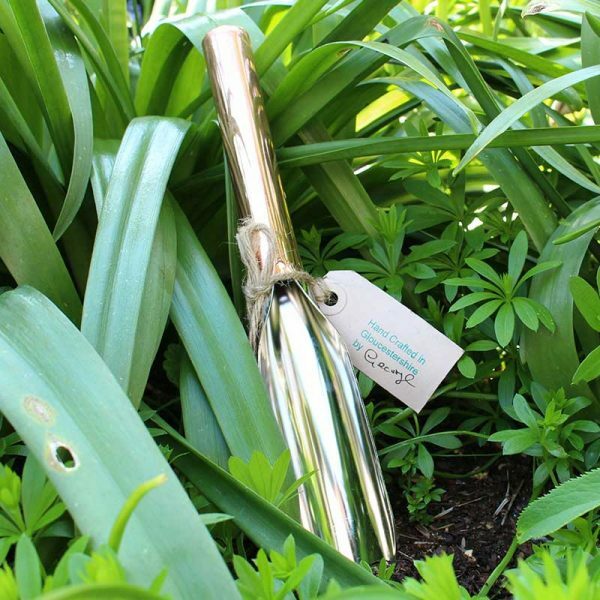 Uncle Peters Garden Trowels are a unique and quirky company who produce handmade trowels suitable for all gardeners. Uncle Peters Trowels are made from corrosion proof materials along with a simple iconic design which has no welding points or riveting. The solid Unibody design gives a sleek unique look along with extra strength for tougher jobs. Uncle Peters Trowels can be left outside all year round without a worry for rust or corrosion. Arthur & Strange have been using Uncle Peters Trowels for a while and we believe they are one of the best trowels available at the moment. 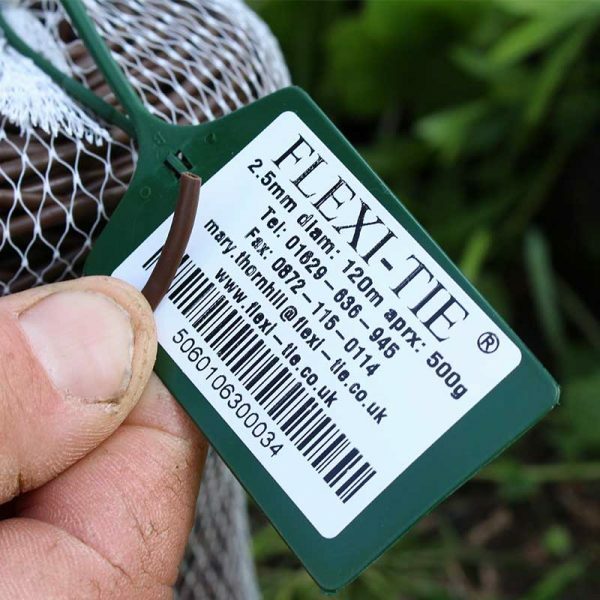 They are lightweight and easy to hold and are always a talking point at our trade shows. 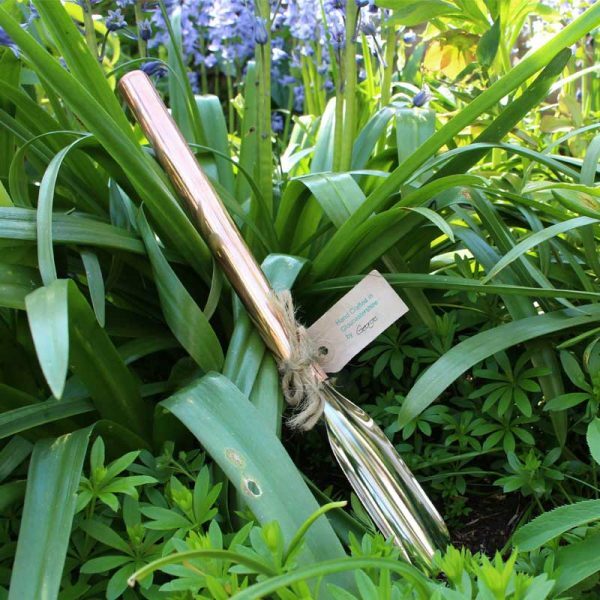 Uncle Peters Trowels are the perfect gift for a keen gardener, all our products are sent out in smart Arthur & Strange Packaging and can be complimented with hand written greeting cards for that personal touch. Hard to think of anyone who wouldn’t enjoy this as a present. Even if you aren’t a gardener, it can sit on your mantlepiece as a rather lovely polished curiosity. Is it a priceless objet d’art? Is it a crucial part of a steampunk time machine? 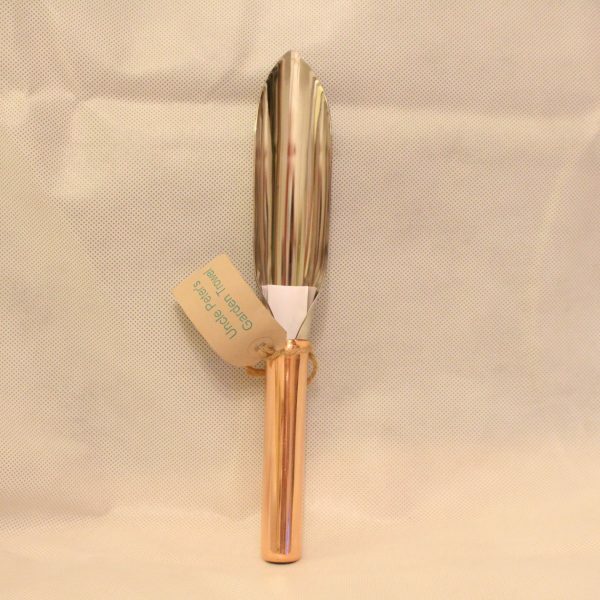 Nope… it’s a trowel. And more than that, a trowel with a story. We always keep a couple in the house in case of sudden Aunts descending at Christmas or those annoying people who say ‘Oh by the way, it’s my Birthday today’ halfway through lunch. 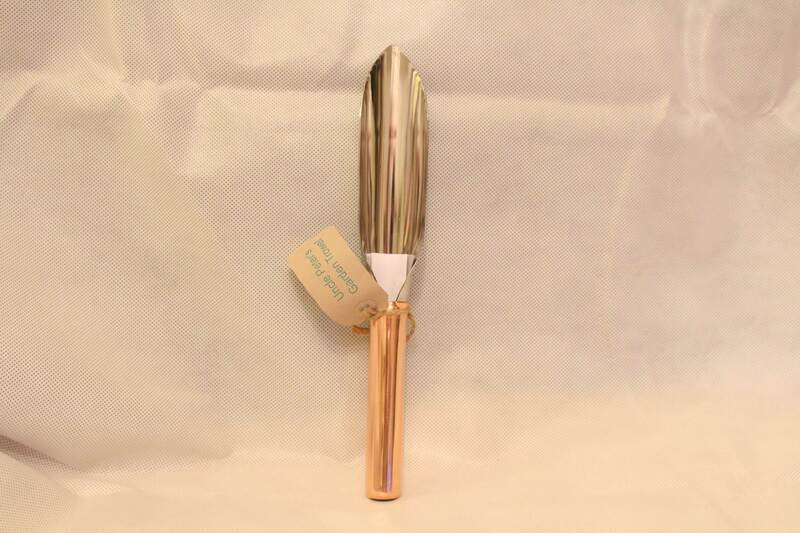 Great product: Bought a trowel as a Christmas present, then bought another for myself as I liked it so much. Great customer service: Enjoyed purchasing the first from the nice people at a garden festival, and was very pleased with the personal support I got when I purchased the second online. Was given one as a present and loved it and now can’t stop buying them for friends . Makes me want to do the weeding!! Very good and efficient personal service . 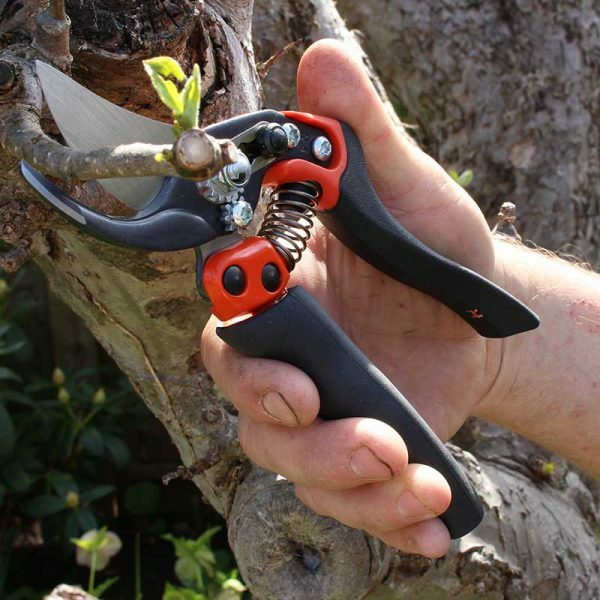 I rarely leave reviews but this is a great little trowel – and as I’m not the tidiest gardener and it’s happy to be left outside! I now always have one spare to give to as a birthday present.